Ajay Nair, Emory’s senior vice president and dean of Campus Life, will be honored March 6 by NASPA, a professional association for student affairs practitioners. NASPA has announced that Ajay Nair, Emory’s senior vice president and dean of Campus Life, will be recognized with the organization’s Doris Michiko Ching Shattering the Glass Ceiling Award for 2018. The award will be presented at the NASPA Annual Conference, March 3-7, by the organization’s Asian Pacific Islanders Knowledge Community (APIKC). NASPA, the leading professional association for student affairs practitioners, will also recognize a range of other scholars for their commitments and service to higher education. "Ajay has left an indelible mark on many through his leadership in both the student affairs field and within the APIDA [Asian Pacific Islander Desi American] community. He has consistently challenged the status quo, creating ways to empower students so they can reach their goals at highly complex institutions," wrote a NASPA colleague who nominated Nair for the award. "When I think of an educator-leader who has contributed to the transformation of how we engage in authentic student affairs leadership, I think of Ajay Nair,” the nominator continued. “His career has been courageous and inspired. He has not only led, but he is a very public scholar challenging us to bring the margins to the center." Nair came to Emory in 2012 to lead the Division of Campus Life. In December, he was named as the next president of Arcadia University in Glenside, Pennsylvania. 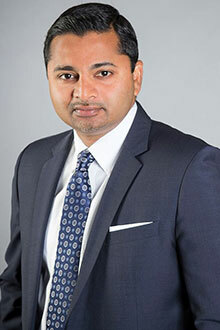 Nair will remain at Emory through March 31 and take the helm at Arcadia on April 2. Nair has been an active member of NASPA for more than a decade. He currently serves on the organization’s board and leads the Equity, Inclusion and Social Justice Division, which works to raise the visibility of issues related to diversity within NASPA and the student affairs profession. Emory colleagues planning to attend the NASPA Annual Convention are invited to join Nair and other honorees for the APIKC presentation ceremony. The event will be hosted on March 6, from 6 p.m. to 7 p.m., at the Loews Philadelphia Hotel, Congress B, 1200 Market St., Philadelphia.